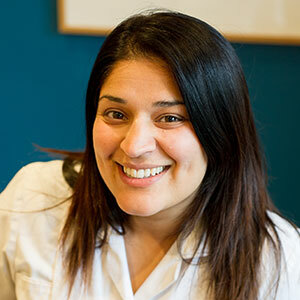 Kam has over 10 years experience, sports and dance injuries, pre and post natal. She studied osteopathy at British School Osteopathy and after qualifying in 2003, went on to gain experience in various clinical settings. During this time she worked with dancers and performers, sports clubs, as well as treating in a general practice setting. She moved Lotus Backcare in 2006 to its current site with a vision of providing expert care from a variety of health and medical fields aimed at providing the best possible approach to a patients needs. She has undertaken various professional development courses relating to Golf, Cranial work, ergonomics and whiplash related injury to name a few. She regularly delivers talks for various community projects focused on injury prevention and increasing awareness. Over the last few years I have suffered from a number of muscular injuries and bones injuries caused by a bike accident, but thanks to Kam and her team at Lotus Wellbeing Clinic in Iver. As a result I have been able to continue my tri-athlete training and improve my performances. Kam was and is very experience in helping to recover from the stress my body suffers due to the intensive training. I highly recommend Kam and the Lotus Wellbeing Clinic team for all sports injury or therapy needs, whether you practice sport at an amateaur or professional level.